The Taiwanese have become major consumers, especially of higher-end varieties, and the island is now home to two distilleries. Taiwan’s growing taste for fine malt whiskies is creating a period of significant change in the market. In the past, night clubs and KTVs were the key channels for consumption of the beverage, says Paul Wang, marketing director for Falconbrae Ltd, an importer of Glenfarclas Scotch whisky. But lately rapid growth has been occurring in such other types of venues as cocktail bars, dedicated whisky bars, bistros, and what are generally referred to as “speakeasies” – bars/restaurants that usually have a dedicated clientele and evoke the feel of Prohibition-era establishments. These new channels tend to cater to a young and fashionable crowd. They require talented bartenders who can add to the experience and ambiance of the venue by creativity when it comes to drink design and presentation. Just doling out drinks for the boys to gan bei (“bottoms up”) is no longer enough. Change is also underfoot on the production front. 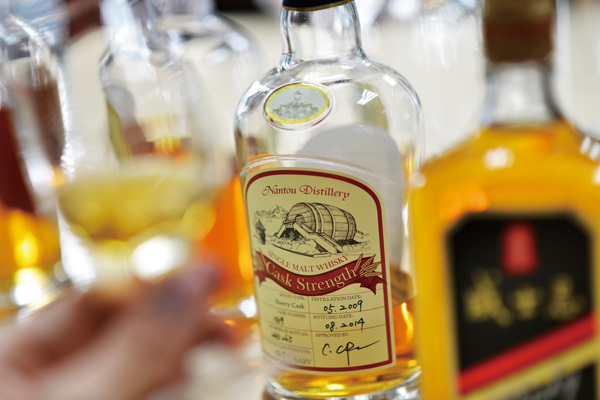 After an amazingly successful start, Kavalan – Taiwan’s largest malt whisky producer – is in expansion mode. At the same time, the Taiwan Tobacco and Liquor Corp. (TTL) has recently begun production of its own malt whisky. As a market for fine whisky, Taiwan is now establishing a strong presence internationally. According to Scotch Whisky Association data, Taiwan ranks fourth globally (behind only the United States, France, and Asian travel hub Singapore) in terms of Scotch whisky imports by value. It is the fastest-growing market among the top 10 markets globally, with a robust 39% increase in the first half of 2014 – from £65.4 million worth to £91 million – compared with the same period of 2013. The key driver behind this surge is a growing appetite in Taiwan for more expensive types of whiskies. 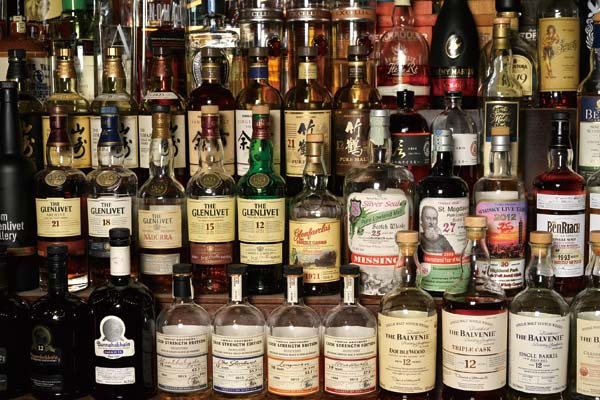 These include single malts, single cask, and limited-edition specialty varieties. Though Taiwan ranks fourth in terms of Scotch whisky imports by value, it ranks 14th in terms of volume, importing 9 million bottles in the first half of 2014, compared with 85.6 million bottles for the number-one market, France. But when it comes to the average price per bottle received by the exporter, Taiwan is at the top of the list among the 10 major markets. The figure came to £10.1 (about NT$500) in the first half of last year, up from £7.3 the year before, another 39% increase. By comparison, the average import price per bottle in the United States last year was £6, in South Korea £5.3, Singapore £5.2, Spain £3, and France only £2.5. Why is the average price for Scotch whisky so much higher in Taiwan than in other major global markets? Steven Lin, a noted whisky consultant and also owner of the whisky bar Backyard (also called L’arriere-cour, and located at No. 4, Lane 23, AnHe Road, Section 2) cites several factors, starting with what he calls “education.” By that he means that many consumers in Taiwan have become very knowledgeable about the various types of Scotch whisky, and have grown quite sophisticated in their tastes. Scotch whisky producers have responded to this interest by creating and marketing a growing number of options, focusing on more expensive single malt types. He notes that Taiwan may be the only market in Asia that has regular well-attended whisky auctions where consumers gather and bid on select varieties of whisky products. Lin contrasts the situation with the local wine market, an area in which he also has considerable expertise. For wine, the very wealthy pay very high prices for rare wines, but most consumers focus on price and do their purchasing at discount supermarkets. The middle part of the market remains quite small for wine, but for whisky it is sizeable. Tariffs are also a factor. Taiwan’s customs duties on spirits are relatively low, and are based on alcohol content rather than value. Thus high-end and specialty whiskies can be imported into Taiwan at a relatively low tariff compared with many other markets. In Hong Kong, for example, tariffs on spirits are quite high, while those on wine are relatively low. This difference contributes to the high demand for whisky in Taiwan, whereas in Hong Kong wine tends to be more popular. 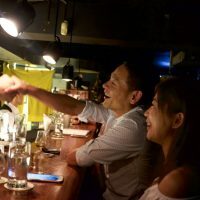 Lin’s bar is perhaps the only one in Taiwan that focuses primarily on whisky, and it prides itself on offering a wide variety of specialty types. 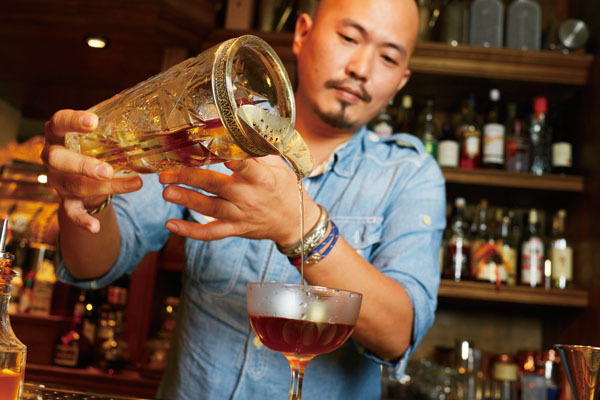 At any one time, the bar is stocked with about 400 types of whisky, and since Backyard’s founding in 2000, Lin estimates that some 3,500 types of whisky have been made available. He notes that U.S. bourbon whiskey has not quite tapped into the domestic market in the same way that Scotch producers have. Central to the success of the Scotch whiskies, he says, has been creating a sense of “specialness” – and perhaps scarcity – by subdividing their product into many varieties. In contrast, the bourbon market tends to focus on large volumes and is dominated by a few big producers. Lin suggests that the beer market in Taiwan could be on the verge of breaking out in the way the Scotch whisky market has done. He senses a growing interest among Taiwan consumers in learning more about beer, and a growing taste for smaller specialty brews. 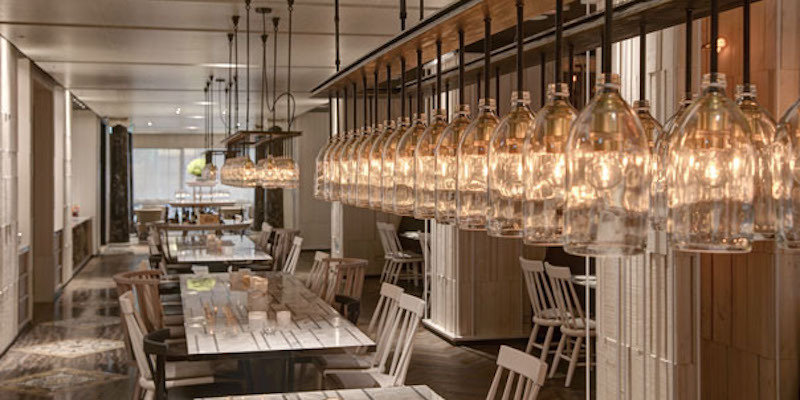 The growing popularity of bistro-style venues is another factor contributing to the rise in whisky demand, as more Taiwanese develop a taste for pairing specialty whiskies with a dinner or lunch. At the restaurant/bar Woo Taipei (No. 39, Lane 205, ZhongXiao E. Rd., Sec. 4), general manager Mark Huang says his establishment is trying to create a different experience for its customers, offering a full meal menu together with innovative cocktails and fine whiskies. The wooden interior evokes an older, quieter era. On a recent visit, we sampled some excellent pasta dishes, including Pimenton Cheese Linguine with Asparagus, as well as Cream Salty Duck Egg Linguine with Prawns. The meal was accompanied by what Woo Taipei calls its Aged Manhattan, which consists of bourbon whiskey, sweet vermouth, and other ingredients aged together in a cask for extra flavor. 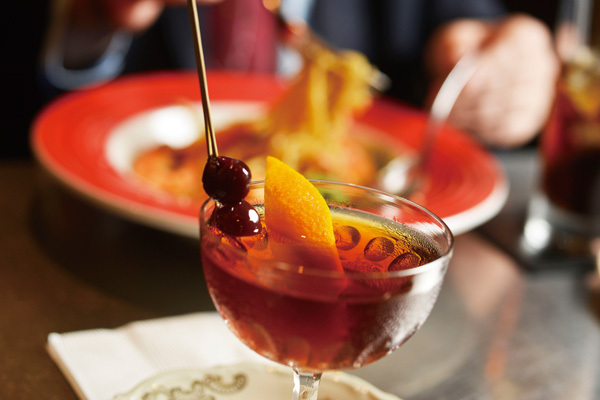 The Aged Manhattan is one of many unique drinks available on the Woo Taipei drinks menu. The talented bartending staff led by General Manager Huang is a key part of this venue’s market positioning. The clientele is mainly 25-35 year-olds who come in after work. 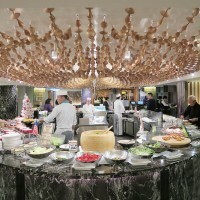 Huang says he hopes Woo Taipei can also build an afternoon business that converts people from the traditional afternoon tea with cake to meals combined with carefully selected cocktails and spirits. He notes a growing interest among customers in sampling whiskies from more countries, including Canada, the United States, and Spain, in addition to the traditional strength of Scotch in the market. Woo Taipei’s bartenders and waiters stand ready to suggest food and drink combinations. Although Taiwanese often do not consume alcohol with their meals, the restaurant is seeking to broaden understanding on how alcohol can add to the enjoyment of the dining experience. The growth in domestic demand for high-quality whisky has also had an impact on the domestic malt whisky production scene. Taiwan’s first and largest producer, Kavalan, has been in operation since 2006 at a distillery in western Yilan County, near where the Central Mountain Range meets the Xueshan Range. Ian Chang, Kavalan’s Head of R&D, Master Blender, and Brand Ambassador, notes that one reason for the decision to locate the distillery in this area was the availability of abundant fresh and clear water. Kavalan is a part of the King Car Group, which had its beginnings in Kaohsiung in 1956 as a chemical producer. Under the leadership of founder T.T. Lee, the Group entered beverage production in 1979. Two of their best-known products are Mr. Brown Coffee and Green Time Natural Water. Kavalan – the name derives from the aboriginal people who once lived on the Yilan Plain – produces about 9 million bottles of whisky a year. The product goes through double distillation, and the company currently has four pot stills organized into two pairs of two. Six more stills will be added by early 2016, increasing the number of paired stills from two to five. A new ageing facility is also planned to meet the expanded capacity. Despite its relatively young age, Kavalan has been extremely successful. It has been awarded over 110 gold medals in various competitions since 2009, and was selected as the International Wine and Spirits Competition’s Asia Pacific Spirit Producer of the Year for three years running from 2011 to 2013. Other accolades include inclusion in Ian Buxton’s book 101 Whiskies to Try Before You Die and being named “Asian Whisky of the Year” in Jim Murray’s Whisky Bible 2015. Besides the water supply, Yilan’s climate was another reason King Car chose to build the distillery there. It is relatively cold and humid there during the winter months. 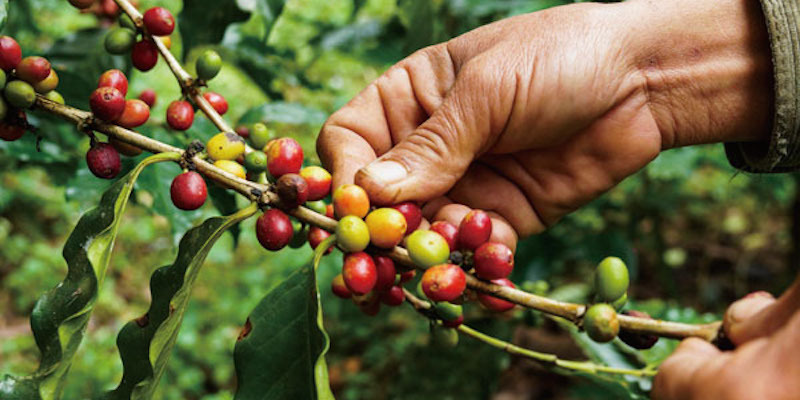 Taiwan’s sub-tropical climate makes for faster maturation than in colder regions such as Scotland, and it was considered that the process would in fact be too fast in most parts of the island. As it is, Kavalan experiences an “angel’s share” (the proportion of the product lost to evaporation during ageing) of 10-12%, compared to about 3% in Scotland. Kavalan ages its whisky for a minimum of four years, and most of its production is aged four to seven years. 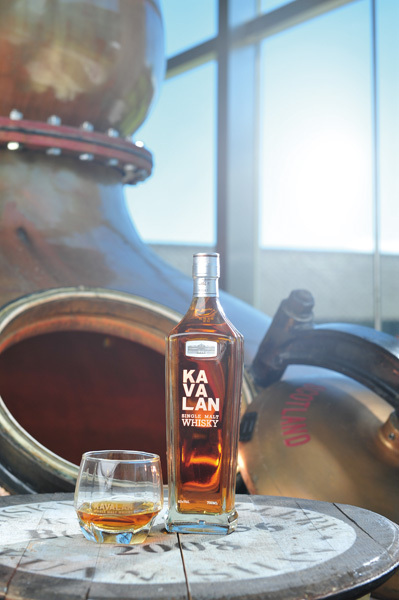 Kavalan imported its stills from Scotland, which is also the main source of its malted barley. Barley is difficult to grow in Taiwan due to the climate. Kavalan works closely with its barley supplier in Scotland to ensure that the barley-roasting process produces the results desired by the Master Blender. At a tasting that concluded our tour of the facility, we enjoyed the mellow flavor of Kavalan “Classic,” the company’s top-selling product. Chang says the sub-tropical climate in Yilan helps “sandpaper” off the rough edges of the whisky. The Kavalan distillery tour has also won accolades. In 2011 and 2013, it was recognized by Whisky Magazine as having the Tourist Attraction of the Year in the “Rest of World” category. Over 1 million visitors tour the distillery per year, and the showroom itself is a very successful sales outlet. Further information about the tours, which can also include other King Car Group facilities, such as their orchid-farming operations, can be found at www.kavalanwhisky.com. At present, about 40% of Kavalan’s output is exported, with the United States as the largest market in terms of value. France is number one in volume terms. When the expansion program is completed, Chang says the export proportion is likely to rise to 60%. There is a growing trend toward more specialty products, such as single cask purchases. Buyers, generally from Europe, come to Taiwan to taste the various casks and then purchase one or two. Kavalan works with the buyer on customized labeling. The company has also purchased stills from Germany for the production of gin, a project that is still in the R&D stage. As a result of the growth in demand in Taiwan for high-quality whisky, the TTL has also launched production of its own line of malt whisky at its Nantou Winery (80 Tungshan Road, Nantou City, Nantou County). As is the case with Kavalan, the operation uses mainly imported Scottish barley. The production at both Kavalan and TTL is known as “single malt whisky.” This is whisky produced at one specific distillery (therefore “single”) that uses only malted grain. The grain is usually barley, as is the case with the Taiwan distillers. The malted grain has been allowed to begin germination, and then has had this germination stopped by kiln drying. Smoking the grain can also be part of the process. Whisky of this type produced in Scotland is referred to as Scotch whisky, or Scotch. TTL’s Nantou Winery was established in 1977, and has produced a wide range of products for many years. In 1984, it began importing and blending whisky from Scotland, and it is largely because of that experience that TTL called on the facility – from among its 11 production operations island-wide – to handle development of the company’s own whisky. 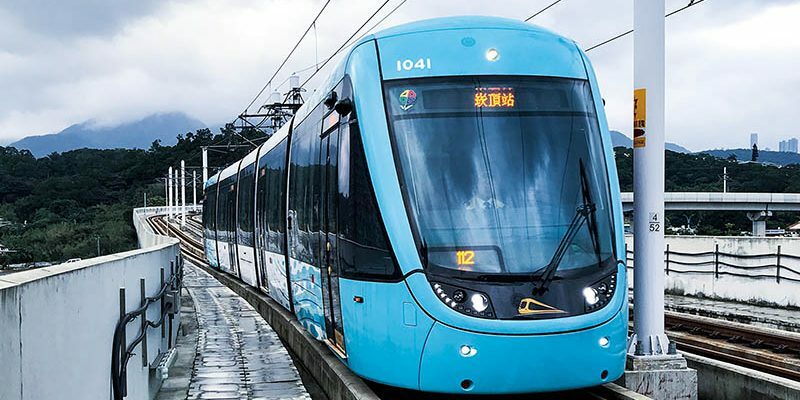 That assignment presented the Nantou staff members with a daunting task, however, and they had to utilize a little Taiwan engineering ingenuity to carry it out. They converted some upstream equipment that had previously been used in beer production, while procuring additional equipment from other plants within the TTL network, and importing the rest. The distillery uses both sherry casks from Spain and bourbon casks from the United States. We had the opportunity to taste several samples of both types, and were pleasantly surprised at the quality. 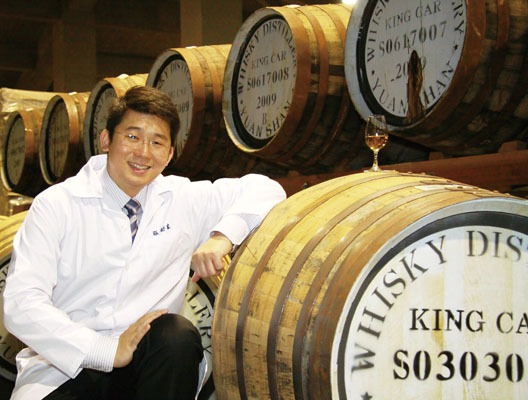 Plant director Pan Chieh-Chang says that although construction of the malt whisky production facilities was completed in 2008, the operation is still in the early stages of commercial production. Only a small quantity of single malt whisky is currently being produced for sale to visitors at the plant and in selected distribution points nearby. The plant produces whisky only between September and April, Pan explains, because it is too hot during the summer months to achieve adequate quality in the fermentation process. 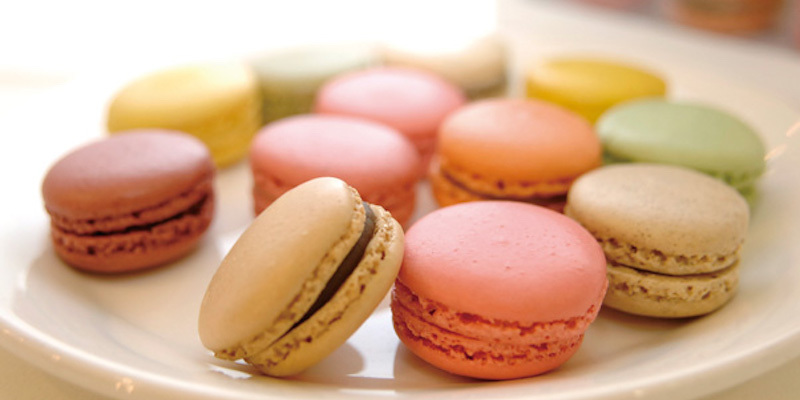 During the summer, the operation focuses on its fruit-based products. 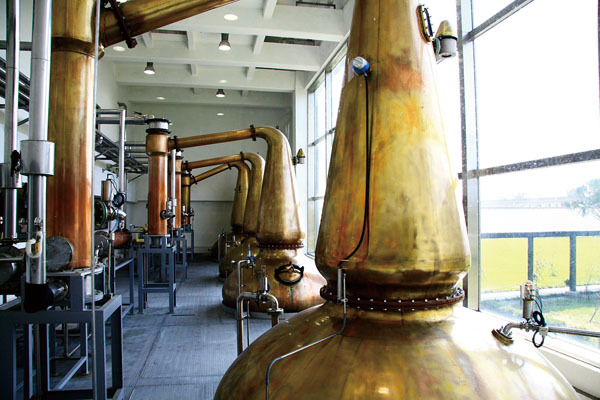 The interest in Taiwan in single malt whiskies appears to be broadening, and has encouraged Kavalan to expand its capacity and TTL to begin its own in-house production. Perhaps other whisky producers in the world, including those in the United States, might consider whether to try to tap opportunities in Taiwan through greater product differentiation and marketing efforts. I am a student at The Ohio State University in Columbus, OH and would love to know more about the market for U.S. whiskies. I know there are many specialty micro-distilleries popping up in Ohio who are interested in exporting abroad. It seems like that would be in the realm of ‘specialty’ whiskies you had mentioned of the Scottish variety. I’d love to find out some more about what you think the potential for U.S. Bourbon and other types to become a bigger part of the growing market. Dear David, thanks for your comments. I’ll follow up with you regarding your specific area of interest. 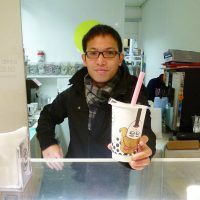 Do you have any information regarding spirit drinks in Taiwan?